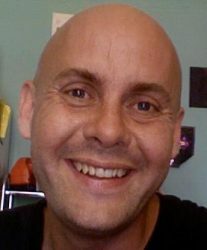 JOHN-PAUL HUSSEY is most of all known as the writer & performer of an award-winning trilogy of one-man shows: CHOCOLATE MONKEY (2002) SPACEMUNKI (2004) and LOVE MONKEY (2008). He is also an award-winning director of performance art installations and a performance artist. His work has a strong design element merged with text-based story-telling. He has received 2 GREEN ROOM nominations for Chocolate Monkey: BEST SHOW and BEST MALE ACTOR and was awarded, BEST SHOW OF THE YEAR by ABC Radio National. CHOCOLATE MONKEY has appeared @ THE MELBOURNE ARTS CENTRE (2007) and The Seymour Centre, Sydney (2008). SPACEMUNKI returned for The Melbourne Fringe 2007, winning THE MELBOURNE INTERNATIONAL FESTIVAL PRIZE. LOVE MONKEY was critically acclaimed by the press, described by Jo Roberts of The Age Newspaper as a “TOUR DE FORCE, A MIGHTY PRODUCTION.” and won a GREEN ROOM AWARD (2009). As an actor he has appeared in a number of theatre productions, one being ‘The Visit’ by the MTC, (Melbourne Theatre Company) to mark the company’s 50th anniversary. In this particular production, he played 13 different characters. As a DIRECTOR, his productions are usually large scale and site-specific performance installations. ‘Dream Home’ (Canberra Arts Festival 2001); ‘You Can Touch It If You Want’ (Adelaide Fringe 2004) and ‘The House of Application’, which WON 2 AWARDS for (The Melbourne Fringe 2005). The Burlesque dance show ‘Milk’ by The Town Bikes, (Melbourne Fringe 2006). He also directed and toured Europe with an outdoor cabaret circus, ‘Cabaret at the End of the World’ (Cirque Idyllic, Europe 2005 &6). His most recent directing project was with the punk/burlesque troupe, The Voodoo Trash Dolls, ‘Dressed to Kill’ in 2008. 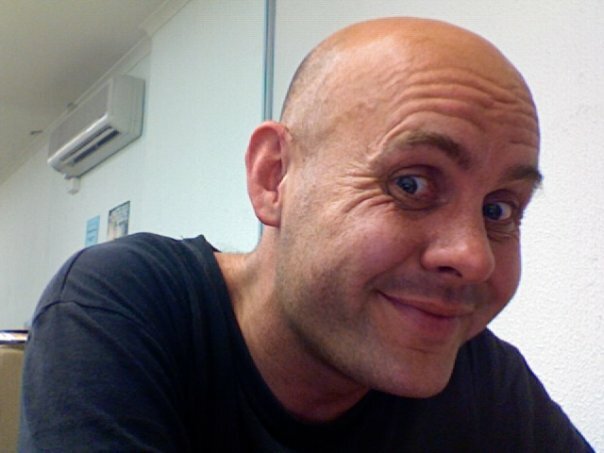 He has taught creative writing at Melbourne University and gave Dramaturgy workshops at Victorian College of the Arts. He has numerous cabaret acts/MC personalities, appearing at many international arts festivals: ‘The Famous Spiegel Tent’, (Dublin Arts Festival 2003-4); ‘The Butterfly Club’, (Melbourne 2003); The Stockton Festival (UK 2005) The Fusion Festival (Germany2006) The Falls Festival, Lorne & Tasmania (2007, 2008), ‘The Playground Weekender Festival’ NSW, Australia (2009) & Virgin Mobile, Garage 2 V National Band Comp (2009) and Barrio for the International Adelaide Festival (2012&13). His most recent performance installation as director/performer, ‘Do U Like 2 Wrestle?’ was staged at Shed 4 in The Docklands in March 2009. 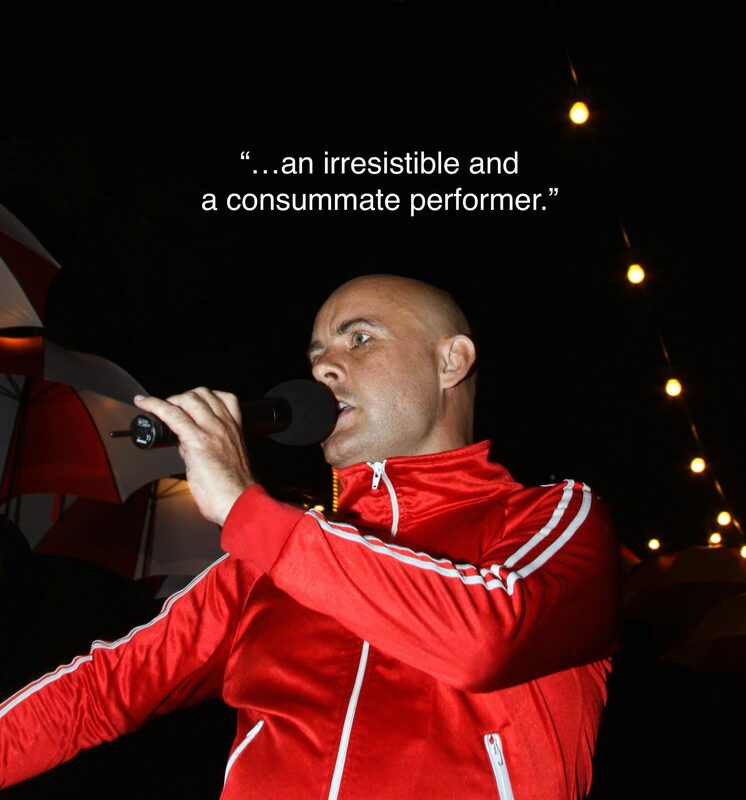 His most recently produced performances are a one-man show, ‘Huge’ and a stand-up routine, ‘3 Magic Moves’ for The Melbourne International Comedy Festival in 2010&11. JOHN-PAUL HUSSEY was born in Zambia and brought up in Bahrain, The Sudan, and Bangkok while his father worked as a linguist for The British Council. During that time he attending two boarding schools in Ireland, Castle Park Preparatory, and Clongowes Wood College. He secured a place at Trinity College Dublin, but then his family moved to Australia. He attended The University of Melbourne majoring in Russian Lit. ’89 and later graduated from the Victorian College of The Arts (Melbourne) in Theatre Making ’96 (Writing). His other writing credits, other than his one-man shows, include adaptations of Bulgakov’s ‘The Heart Of The Dog’ (Guild Theatre 1991) & ‘The Master & Margarita’ (MTC Wings Program 2002). His original work includes, ‘Uncle Pho & The Laughing Cow’ (Universal Theatre 1998) ‘Ottello a Subversion’ (Theatreworks 1995) and his very first one man show, ‘The Desert Architect’ (VCA 1994).